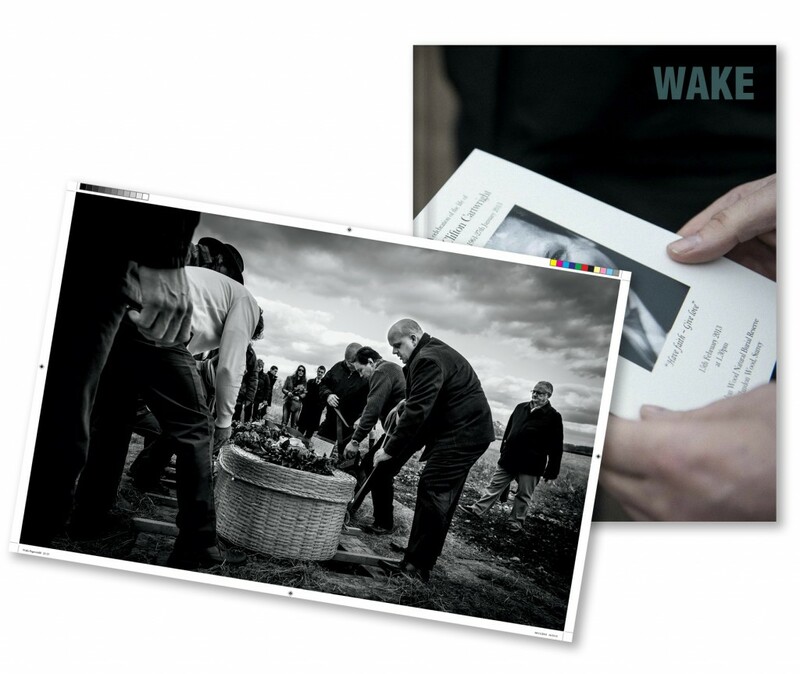 Wake is a highly personal body of work, strictly limited to 51 copies. It is the story of the funeral, burial and gathering of friends and family of Neil Cartwright, one of my closest friends, and a man I saw quite literally every day for about 10 years as he ran the business with which I shared studio space. Some years ago Neil asked if I would mind being one of the executors on his will. I recall agreeing on the basis that it would “give me something to do in my seventies”. Unfortunately he succumbed to an aortic aneurysm no one knew he had – he was dead before he hit the floor at the age of 51. I knew that Neil would have wanted me to document his funeral – a natural woodland burial. But I could only bring myself to really look at the images I took that day when we were coming to the end of our duties as executors on his estate. To mark his life, and the end of that period of perguatory as executor when it seemed to me that he was neither alive nor dead, I revisited the images and decided to publish the work in a magazine format, limited to 51 copies – one for each year of his life. Most of the edition is gone, but some copies remain for anyone who is interested.